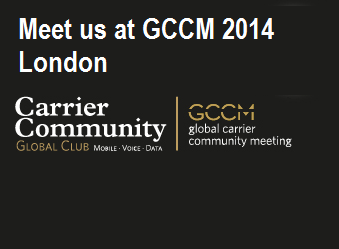 The Annual Global Carrier Community Meeting will be held on 1st & 2nd April 2014 in London one of the main international hub within telecommunication industry. Carrier Community is an exclusive global industry-networking platform and club for wholesale carriers from segments such as voice, data, mobile, telehouse, sms, vas, data center and other industry relevant operators/service providers. During the GCCM we are looking to establish new business relationships as well as to further grow existing partnerships. To arrange a meeting you can send us a quick contact form on our homepage to leave your details and we will get back to you or alternatively please send an email to sales@42com-Int.com. For more information about GCCM, please visit www.carriercommunityevents.com.